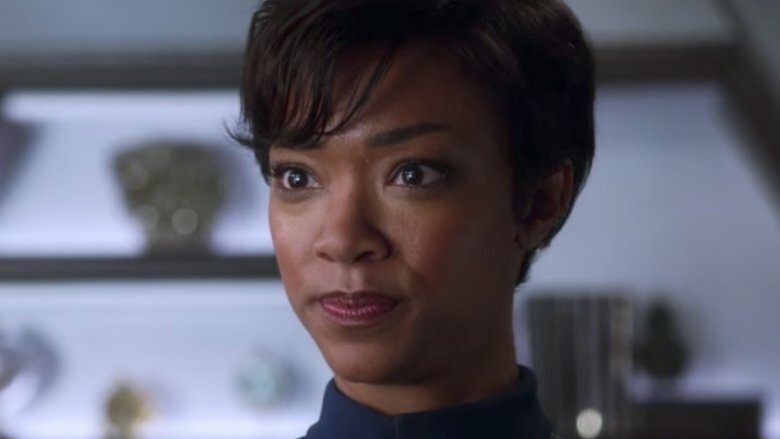 Star Trek: Discovery co-creator Alex Kurtzman says that the show's numerous delays are just the result of cast and crew trying to get it just right. The Mummy director, who serves as a producer for the show, revealed in a recent interview with Collider that the long-gestating show is still going strong, and he's enthusiastic about what they will eventually put out. Star Trek: Discovery has faced a number of speed bumps on its way to production. Created by Kurtzman and Hannibal's Bryan Fuller, the series was originally set to be the first ever to premiere on the CBS All Access platform. However, it has been set back by numerous delays, including Fuller leaving the show so that he could focus on his Starz series American Gods. CBS Interactive president Marc DeBevoise says the show is currently "not tied to any specific" release date. Kurtzman elaborated a little further of Fuller's departure in the recent interview, saying that Fuller just felt that he couldn't manage the huge scale of both Star Trek: Discovery and American Gods at the same time. "They're both sort of beloved to him," he said. To help Fuller better manage his time, he and Kurtzman sat down to talk about how they wanted to continue not just through the first season of the series, but through the next season as well. "So much of what's there in terms of story and certainly in terms of set-up, character, big ideas, the big movement of the season, that's all stuff that Bryan and I talked about," he said. Kurtzman said that another difficulty for the show in making its way to the small screen came in its ever-growing scope, with the show's cast and crew looking to make a product that did justice to what the writers were putting on the page without producing anything subpar. He noted that CBS was very supportive throughout the delays, saying that they wanted to wait until they had the best version for the show to go. Despite the delays, Kurtzman is very pleased with what they've done so far. "I'm really excited for everyone to see Trek and I was extremely pleased with the reception that our trailer got," he said, adding that they are currently shooting the fifth episode of the 15 episode season. "All I'm gonna say now is that you're talking about a show that's being written by a roomful of fans who all have very different relationships to Trek, and I think that's a healthy thing and it's a good thing. They love different aspects of Trek. We're really excited with how the scripts are going." Star Trek: Discovery, headed by co-showrunners Gretchen Berg and Aaron Harberts, has an extensive ensemble cast, which features Sonequa Martin-Green as First Officer Michael Burnham; Jason Isaacs as Captain Lorca; Michelle Yeoh as Captain Philippa Georgiou; Doug Jones as Science Officer Saru, a member of a new alien species; Anthony Rapp as Lt. Stamets; James Frain as Spock's father Sarek; and Rainn Wilson as original series character Harry Mudd. Other cast members include Chris Obi, Mary Chieffo, Shazad Latif, Terry Serpico, Maulik Pancholy, Sam Vartholomeos, Rekha Sharma, Kenneth Mitchell, Clare McConnell and Damon Runyan. Kurtzman also notes that there could be some celebrity cameos, saying that producers were literally given a list of famous Star Trek fans who wanted to appear. While we wait for the show to premiere, see some of the small details only true fans noticed in the trailer.